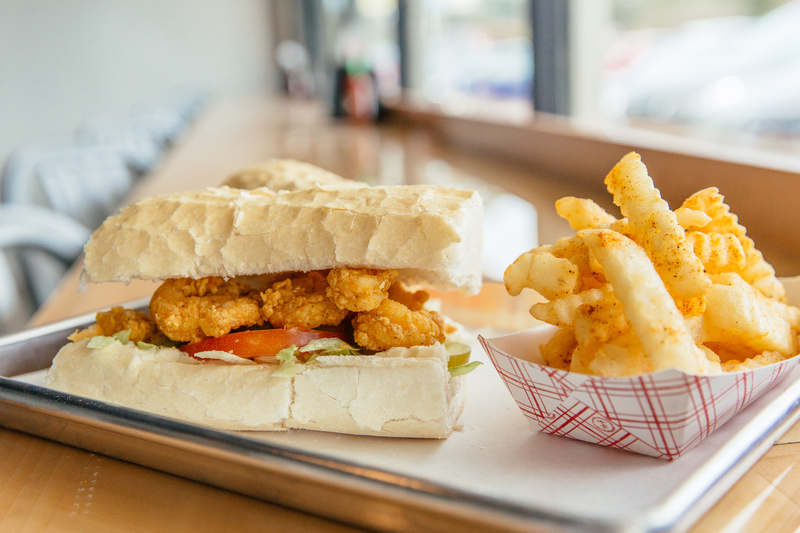 The new JED’s Local Louisiana Po’boys opened December 2018 in the Goodwood Shopping Center in Baton Rouge. Walking into the new JED’s Local Louisiana Po’boys in the Goodwood Shopping Center, a giant mural lining the back wall of the restaurant is sure to catch your eye. It’s a photograph of the historic 1929 streetcar strike in New Orleans, one of the most violent of the transportation strikes at the time. While the mural might seem random at first, Russell Davis is quick to offer a little history lesson about the strike’s connection to the much-loved po-boy. Streetcar workers had started the strike over contract negotiations. Two former streetcar conductors, the Martin brothers, had opened a restaurant in the French Market and promised to feed the workers during the strike, free of charge. The sandwich, of course, has come to be a true Louisiana classic. 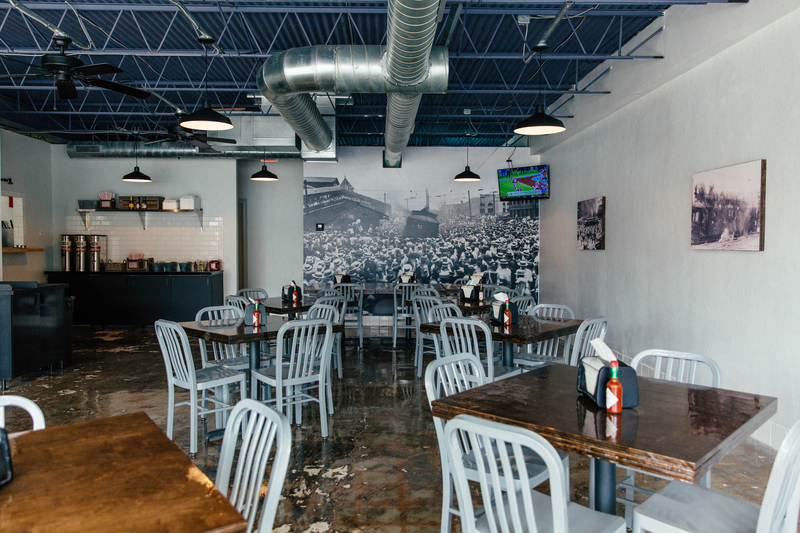 And as of last Friday, the Mid City area now has a new neighborhood po-boy shop: JED’s Local. 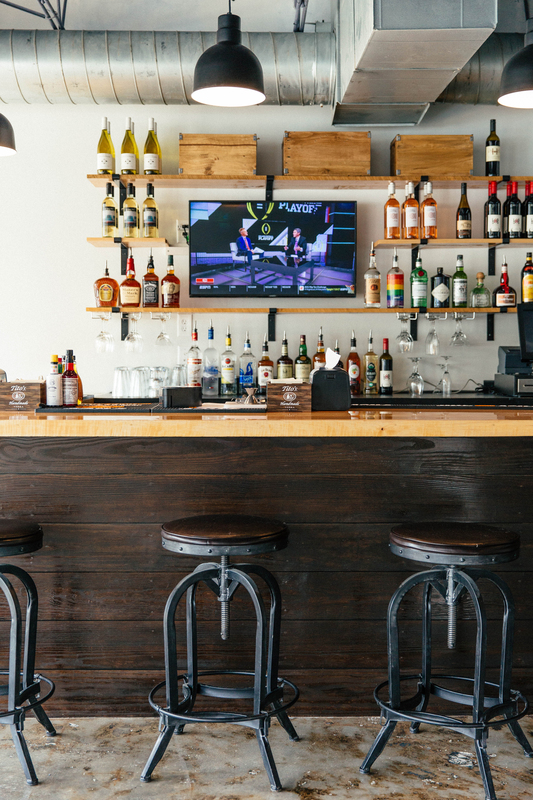 The restaurant serves both classic po-boys—shrimp, oyster, catfish and roast beef—as well as specialty po-boys, like smoked alligator sausage and chicken Parmesan. JED’s also has a lineup of daily specials, such as a serving of red beans and rice on Mondays, shrimp and grits on Tuesdays, spaghetti and meatballs on Wednesdays, chicken, onion gravy and rice on Thursdays, and crawfish étouffée on Fridays. The menu’s nods to New Orleans reflects Davis’ connection with the city. Originally from Massachusetts, he moved to New Orleans to work at Commander’s Palace, where he met his wife, Sally. The couple opened a seafood restaurant in New Orleans, but after the BP Oil Spill in 2010 impacted the seafood market, they decided to move to Baton Rouge. You probably also know them as the duo behind Eliza Restaurant & Bar, which opened in 2016. Fans of Eliza should expect the same quality ingredients and friendly service but in a more informal setting. “I think the industry is trending in that direction,” he adds. 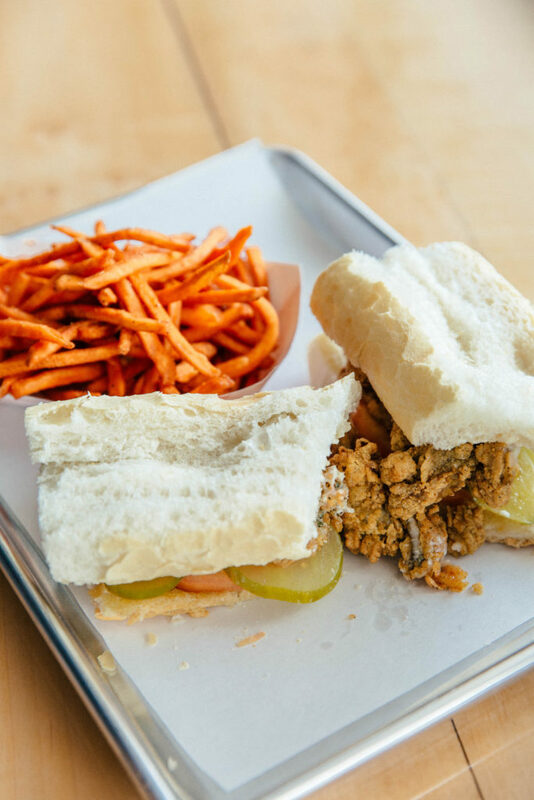 That’s the concept behind JED’s Local: Order your po-boys at the counter without breaking the bank. Order a drink from the bar. Sit down and eat a sandwich or two. Maybe even browse the shops nearby or stroll down Capital Heights, if the weather’s nice. JED’s Local manages its prices by running a tight ship with minimal waste. Davis says having two restaurants means he can order seafood in bulk, which helps keep prices low. True to its name, the restaurant sources ingredients from local vendors. That means seafood from the Gulf, andouille alligator sausage and rice from Crowley and, of course, French bread from Leidenheimer’s in New Orleans. Davis says he’s excited for the restaurant to open and be a part of the growing culinary scene in Mid City and the city as a whole. JED’s Local is at 672 Jefferson Highway. It is open Monday-Thursday, 11 a.m.-9 p.m., and Friday and Saturday, 11 a.m.-10 p.m.